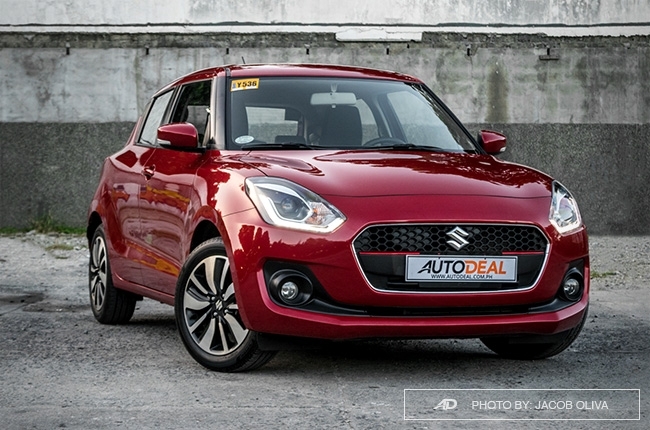 The city car that can do so much more – that’s the Philippine-spec Swift GLX for you. 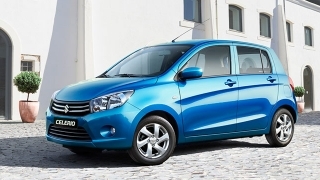 If there’s one Japanese brand that was able to come up with the perfect recipe for making attractive small cars, it’s definitely Suzuki. The recipe? European design at a non-European price point. Case in point: the upcoming Jimny reminds you of a German boxy SUV, while the Vitara sports the appeal of a British SUV brand. 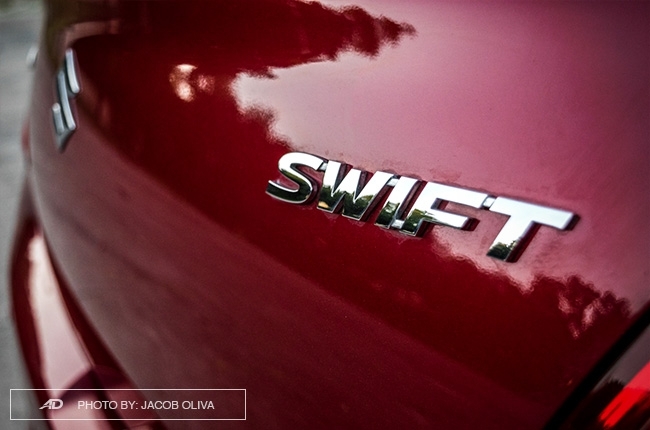 In the case of the Swift, its second- and third-generation models are reminiscent of small iconic cars, also from the U.K. LED lighting looks good and works well at night. Well-executed materials on the dashboard. Overall handling can be improved. But, that was before. 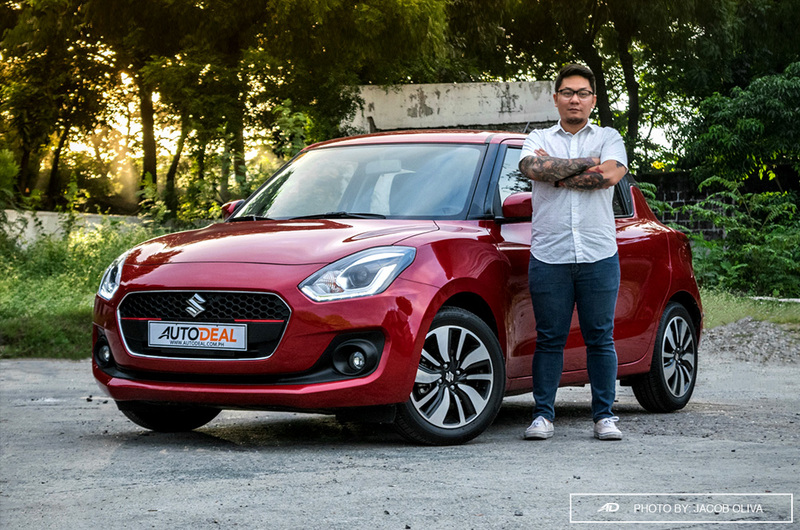 The introduction of the all-new Swift sparks the notion of it having its own identity while keeping its previous charm – and we’re definitely loving it. Away from its previous bulbous contour, the fourth-generation Swift’s new look is sleeker, curvier, and more aggressive than before. 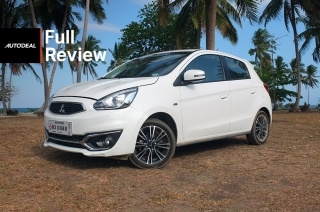 The subtle bulges on the hood that follows the new headlamp shape give the small hatchback a sultry fascia, which kind of contradicts the smile brought about by the black embellishment that connects the two fog lamps. 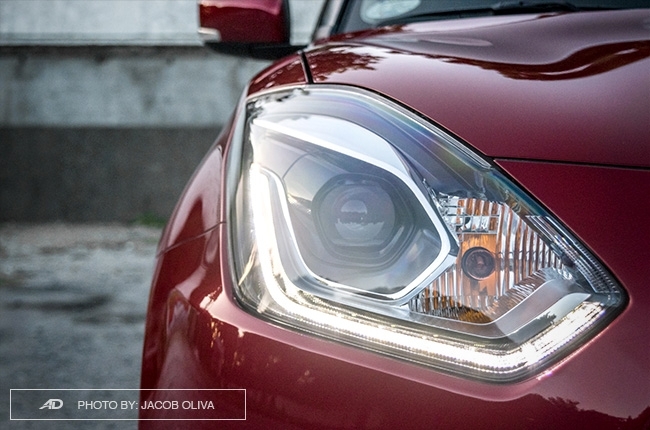 What works, however, are the LED daytime running lights that underline the bright LED headlights. It’s a good look, and with great function, too, especially at night. I also like the red line that divides the hexagonal grille; it blends within the media unit’s red paint, but if it was otherwise, it would have stood out nicely. On its side, the sloping roofline has been retained but you’ll immediately notice the chiseled panels that add character to the car. 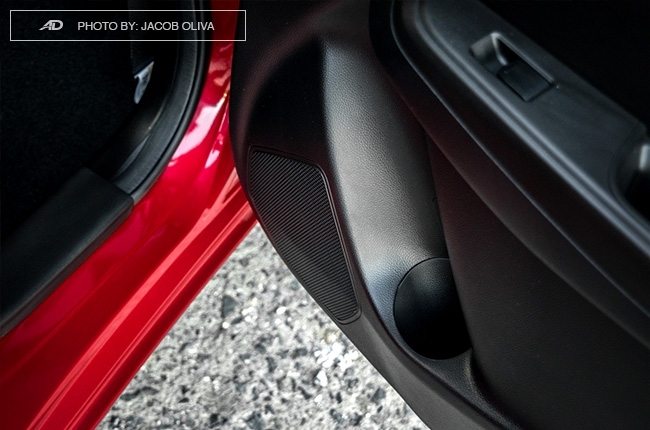 Also adding character are the hidden door handles that lurks within the connecting black accents on the C-pillar, giving the profile a fluidic contour. The 16-inch rims add the finishing touches, but its design is a bit plain to my taste. 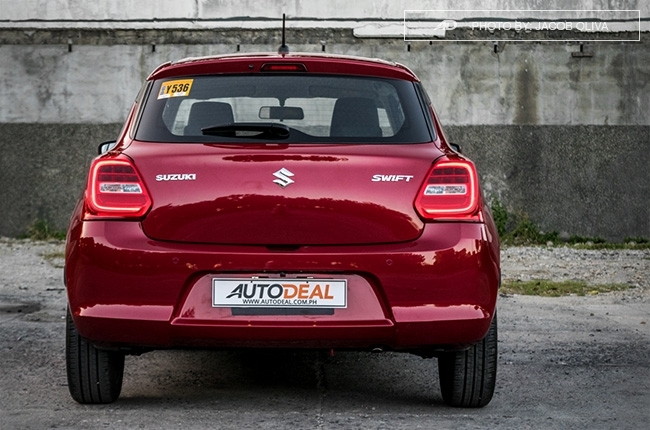 At the rear, the taillights provide bulges that I think are necessary as they give the Swift a wide stance when viewed from behind. 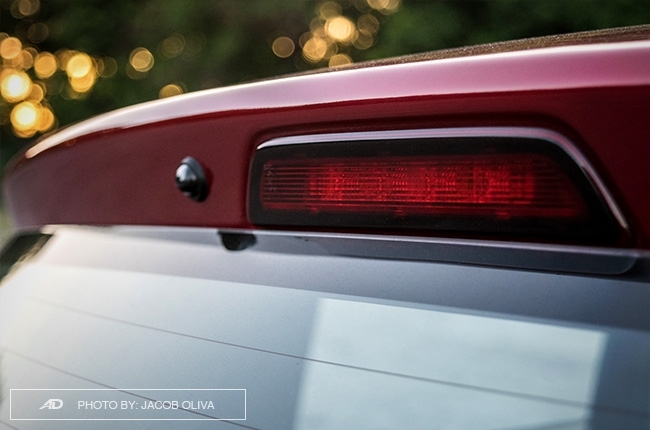 The C-shaped LED taillights appear as treats to my eyes. In fact, it’s my favorite part of the car. 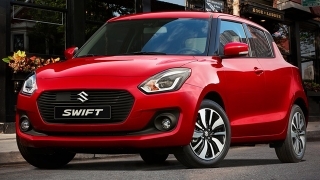 The all-new Swift has significantly grown from its predecessor – 40-mm wider, 15-mm taller, and has a 20-mm longer wheelbase. Although its overall length is shorter by a hair, the added width and wheelbase length provide more room for the occupants. I stand 5’6” and in my normal driving position, the three passengers at the back would have enough room as long as they’re of my size. Not too big, but it’s cozy enough. But beyond my size, it would be tight for three people at the back. It’s a different story for the trunk. It’s big enough to fit a standard-sized child stroller with a little room for three to four grocery bags. 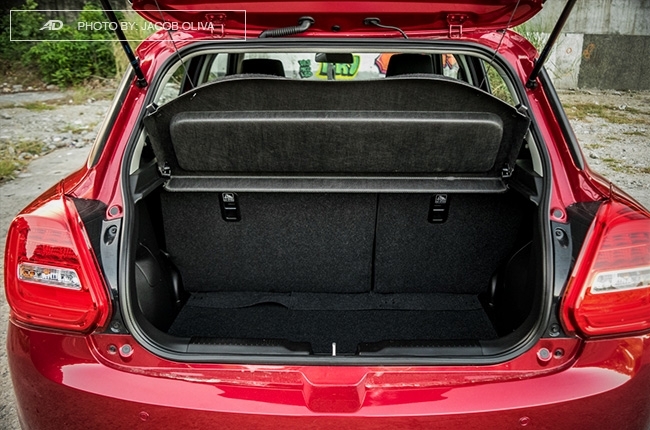 You can also fold the rear seats to maximize the cargo space, but it would have been better if the backrests fold flat onto the floor. As for the driver and front passenger, wiggle room isn't a problem at all. 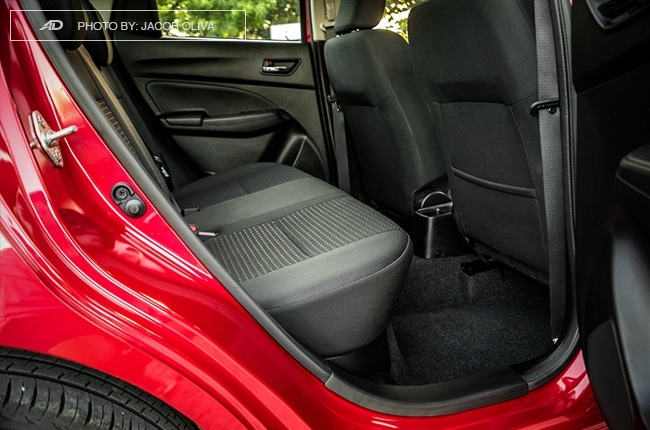 The Swift’s interior space appears to be in the middle ground of things, but its ride comfort is notable and exemplary. 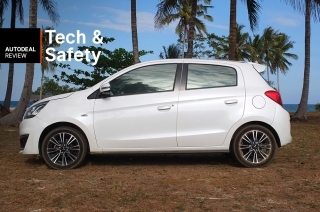 Just like any other cars of this size, the suspension setup is tuned for utmost comfort on flat roads. It can absorb road imperfections within reason and the occupants won't really feel the impact if it does so. Body roll is present, but it’s kept to bare minimum. 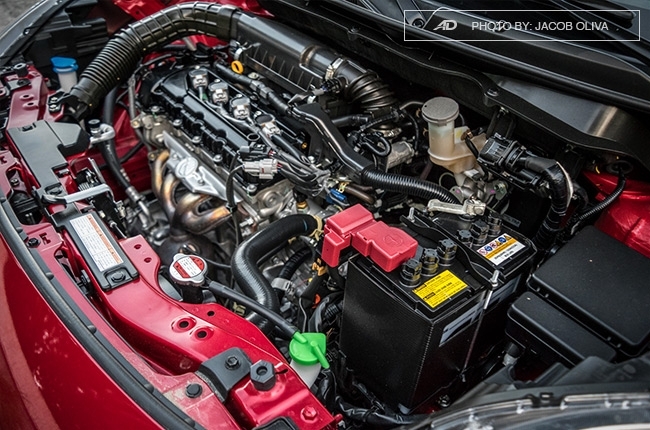 Outside and engine noise isolation is decent, but can still be improved. 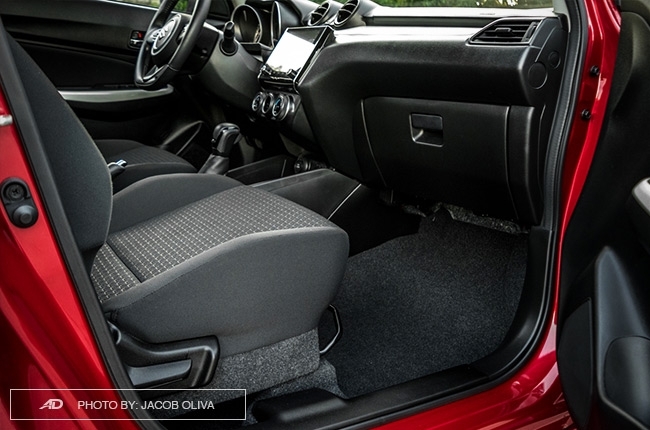 It would have been all aces for the Swift’s overall comfort if not for its automatic air conditioning. See, it works fine in the morning or at night, but during high noon, the A/C really needs to work hard to keep the cabin comfy for everyone, especially when idling. Car tints should definitely be on your shopping list when you buy this car. I really dig the look of the Swift’s dashboard. Sure, it’s plastic-laden as expected from its price point but they are well executed and they don’t look cheap at all. 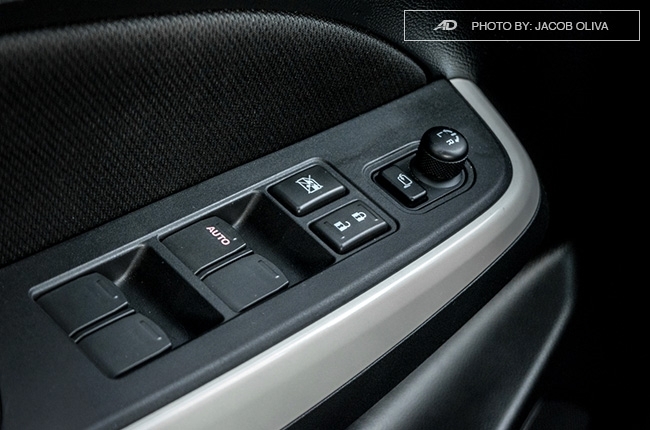 The buttons and knobs have a great feedback, and the circular A/C vents in the middle are a nice touch. The cloth seat material, on the other hand, is soft and the embossed pattern keeps buttocks in place. 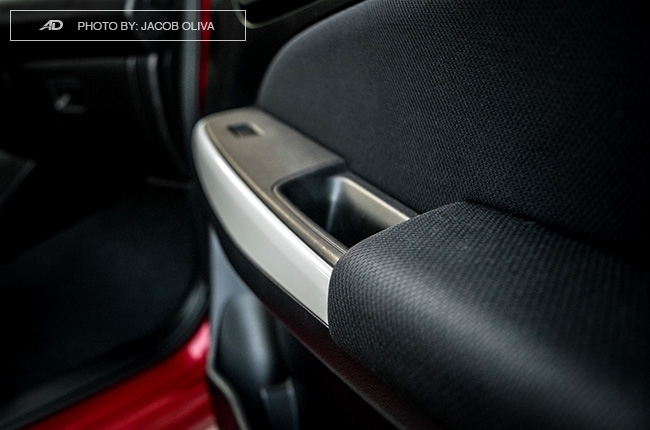 However, what I don’t really adore are the white accents on the dashboard and door handles. It kind of breaks the whole mood brought about by the dark-themed interior. I also wish that it comes equipped with speed-sensing door locks for added security. 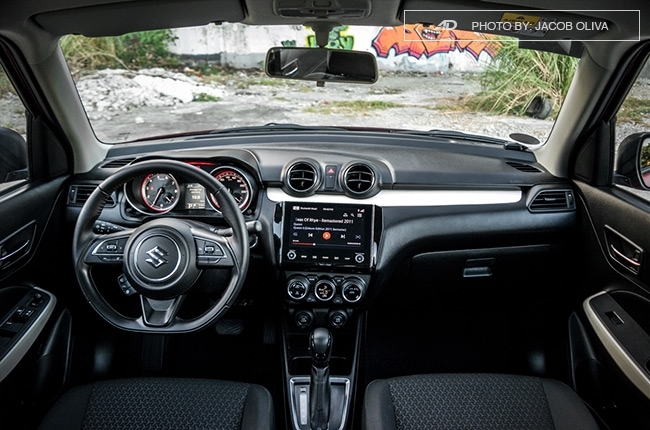 Nevertheless, the eight-inch multimedia touchscreen head unit acts as the saving grace. Aside from the presence of actual volume knobs, the display has a certain crisp to it; I can liken it to iPhone screens – very, very nifty. 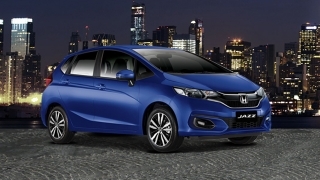 The speakers also sound at par with what pricier cars can offer. Its Bluetooth feature connects to smartphones seamlessly, but its microphone during hands-free calls could be better. 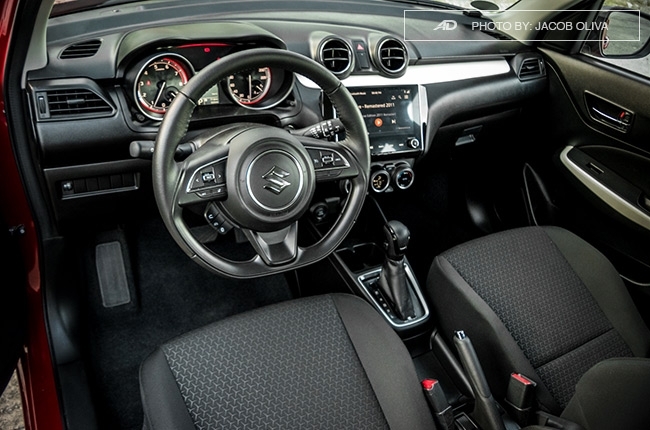 Another thing to rave about the Swift’s interior is its flat-bottom steering wheel. Its leather feels good to the skin, to the point that I enjoyed fiddling with it amidst heavy traffic. The controls are also logically-placed, while the tilt and telescopic adjustments make it easy to find a suitable driving position. The gauge clusters with a monochrome multi-information LCD look clear, with more-than-sufficient information that includes fuel instant and average fuel economy figures. 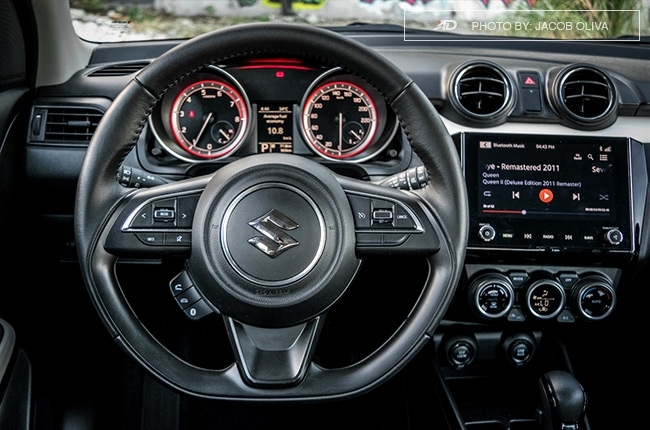 The steering wheel employs great weight, but there was quite an understeer especially at speeds – natural for a front-wheel-drive car but needs improvement. City and parking maneuvers, however, were painless as the steering felt light when crawling and there’s a rear-view camera to boot. The brakes didn't feel mushy, too, and provided enough stopping power for safe halting. 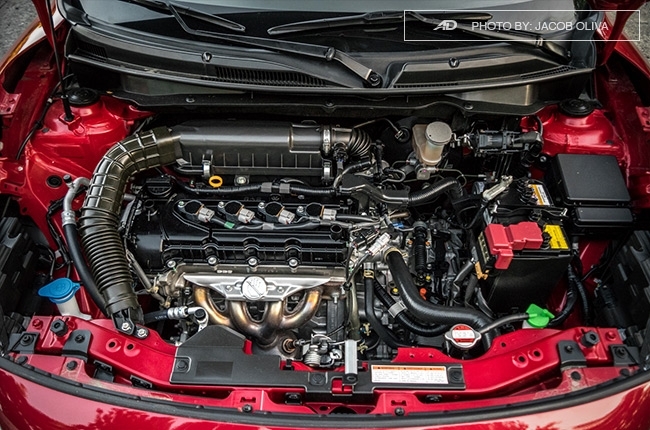 Under the Swift’s hood is a revamped 1.2L K12M gasoline engine from the previous-generation model. 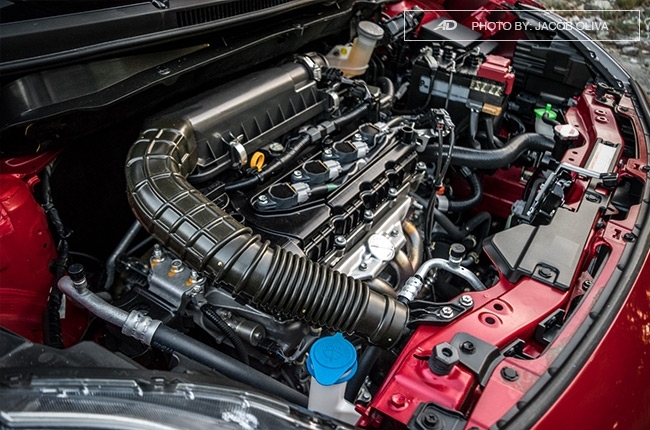 Its new output figures are at 82 hp and 114 Nm torque, which are a tad less from what the car could produce before. 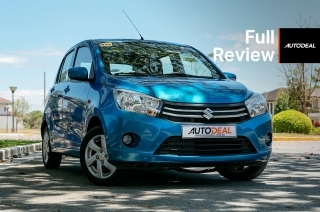 But it wasn't really a big deal on the actual drive; the Swift could perform just the same as before, plus the benefits of having a new continuously variable transmission (CVT) that sends instantaneous torque to the wheels. 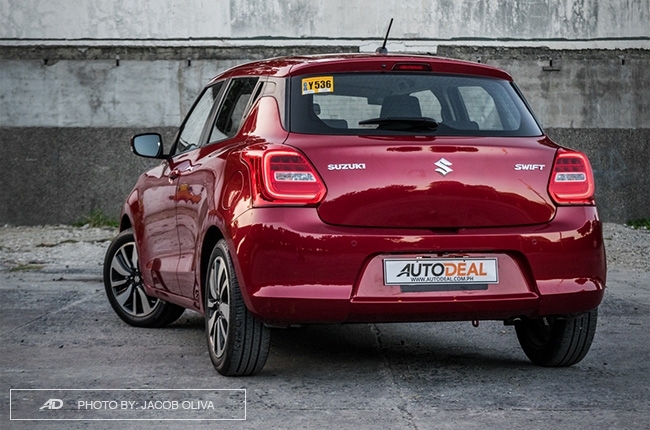 As expected, the Swift could pull its laden weight nicely, but it wasn’t overpowering whether I was running at speeds or trying to survive bumper-to-bumper situations on EDSA. It’s just enough. The engine also reacted nicely to changes in accelerator inputs, and lead foot was welcome when overtaking. 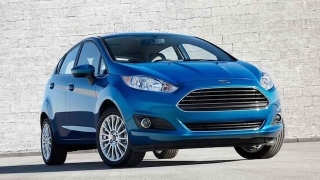 Engaging the Sport mode helped a little, but that would mean more fuel consumption. If there’s one qualm, that would be when I was moving from a standstill. The car was kind of hesitant, but then again, that’s something that isn’t hard to get used to. 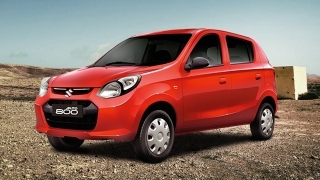 With its engine performance and all-new lighter HEARTECT platform, the Swift shined brightly in fuel efficiency. Snail-paced city drives read 11.5 km/L, while a bit faster paces at an average speed of 60 km/h warranted 14.8 km/L. Highway cruise with the cruise control nailed at 90 km/h, the fuel economy meter read an impressive 21.5 km/L. 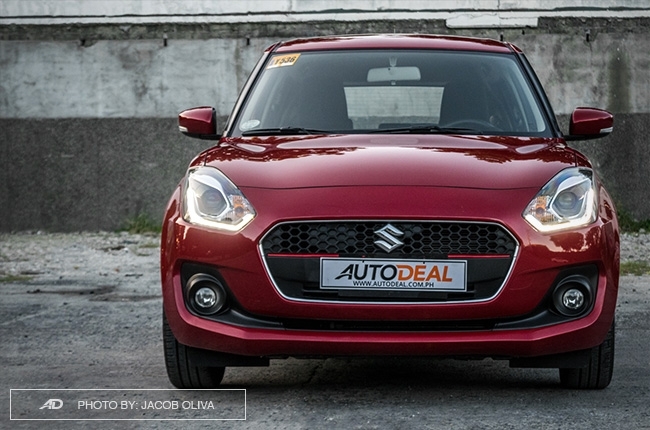 The range-topping Swift GLX can be yours with a sticker price of P899,000. Yes, yes, we hear you. 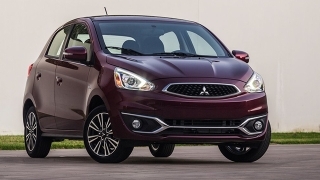 Its price point is on the ceiling when compared to its close competitors like the Mitsubishi Mirage, but with its driving qualities, materials used, and the plethora of tech features, this amount of money has been handsomely paid for. 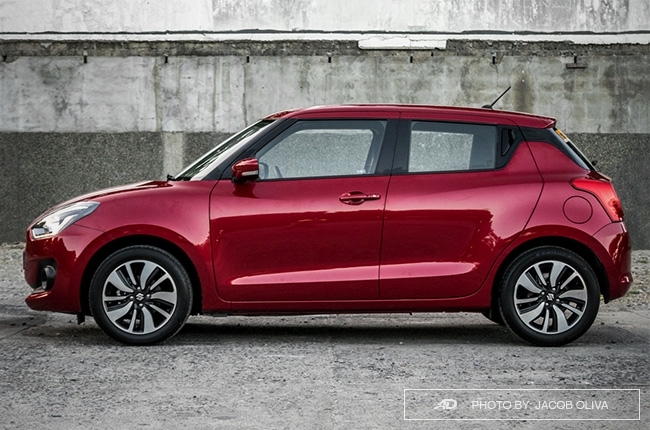 Matter of fact, the Swift is a city car that begs to differ from the norm, dressed up to please your eyes and your whole driving experience. It isn’t the fastest nor the most spacious in its class, but it promises something that car owners would appreciate: a suitable and visually-striking daily car. Quite frankly, I’m convinced.